This provides resources to cancer patients and families on a number of health related issues. Why the Olivia Newton-John Cancer Wellness & Research Centre? Jess was cared for by the Olivia Newton-John Cancer Wellness & Research Centre during radiotherapy, chemotherapy and all the other treatments she had to have along the way. Saying the treatment was tough is an understatement, but this centre made her feel at home every day she walked in the doors. They treated Jess like family. Looking after her when it came to comfortable sitting areas, reading materials, massage therapists, psychologists, morning tea, remembering her name (everyday!) and so much more. We want every patient to have this same experience. The decision to support the Olivia Newton- John Cancer Wellness and Research Centre was to ensure all cancer patients are getting the best treatment and support possible. 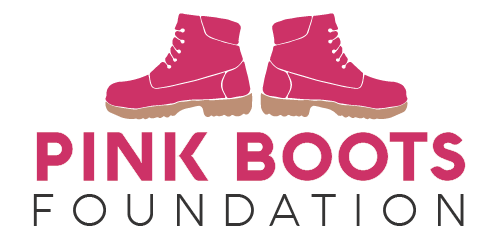 To donate to the Pink Boots Foundation please click on link below.